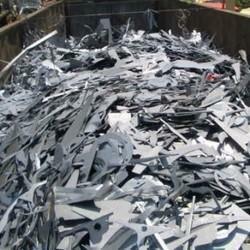 Our organization is engaged in offering high quality array of Busheling Scrap. These scraps are used to manufacture more products after recycled and melting this scrap. These are extensively used in various industrial applications. This scrap is available at affordable rates in the market. 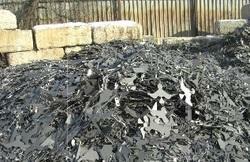 Clean Steel scrap, including new factory busheling (for example, sheet clippings, stampings, etc. We are engaged in procuring Busheling scraps, which are the most recycled scraps used across the globe. Sourced in abundant quantity, these ferrous Busheling scraps are further processed through advanced machinery and equipments so that they can be used in assortment of industries. These scraps are flexible to operate and deliver reliable performance. No. 1 busheling. Clean steel scrap, not exceeding 12 inches in any dimensions, including new factory busheling (for example, sheet clippings, stampings, etc.). May not include old auto body and fender stock. Free of metal coated, limed, vitreous enameled, and electrical sheet containing over 0.5 percent silicon. We are engaged in offering our clients Busheling Scraps that are appreciated for their most recyclable nature. All the machines used for the processing process are of the latest technology and thus are suited for various industries. Our professionals make sure that the products guarantee reliable performance and reliability. Clean steel scrap, not exceeding 12 inches in any dimensions, including new factory busheling (for example, sheet clippings, stampings, etc.). May not include old auto body and fender stock. Free of metal coated, limed, vitreous enamelled, and electrical sheet containing over 0.5 percent silicon. Clean steel scrap, not exceeding 12 inches in any dimensions, including new factory busheling (for example, sheet clippings, stampings etc.). May not include old body and fender stock. Free of metal coated, lined, vitreous enameled, and electrical sheet containing over 0.5 percent silicon. Suitable for pressing, free from coated, tinned, galvanized, enameled and all deleterious material (other than by joint agreement from a specified source).